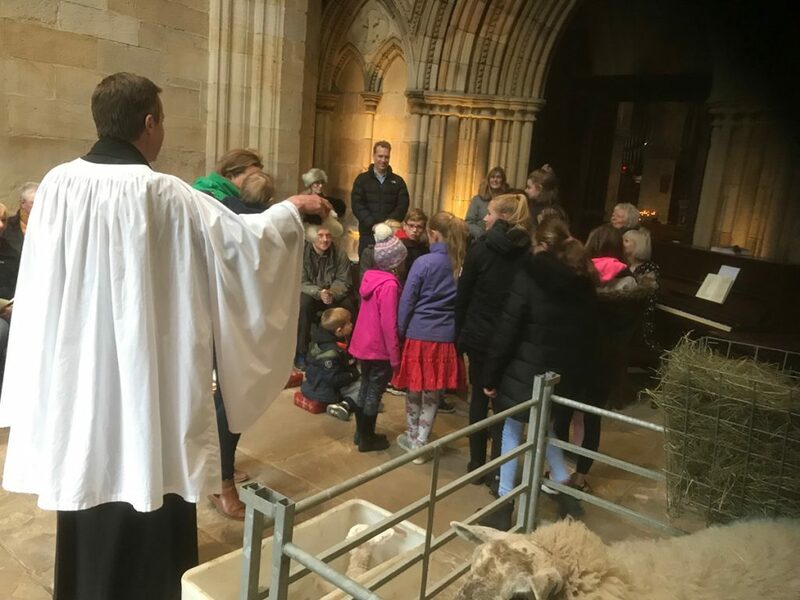 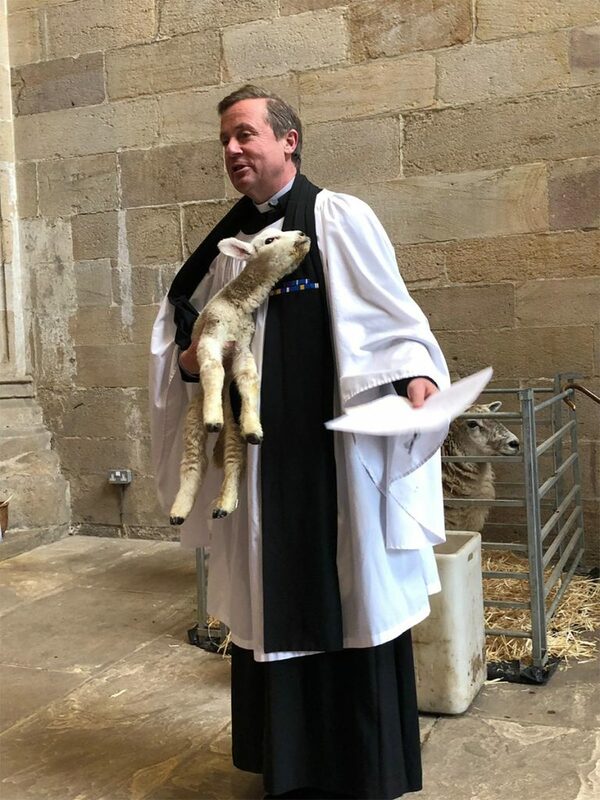 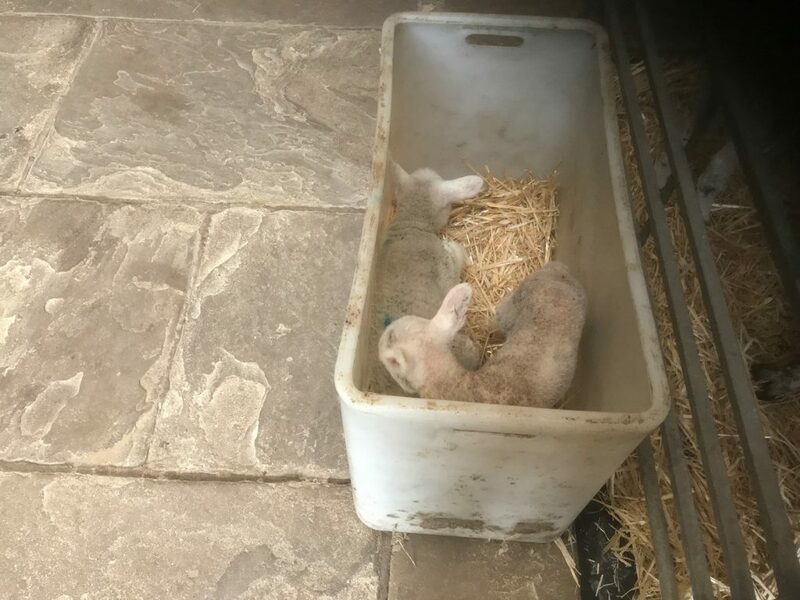 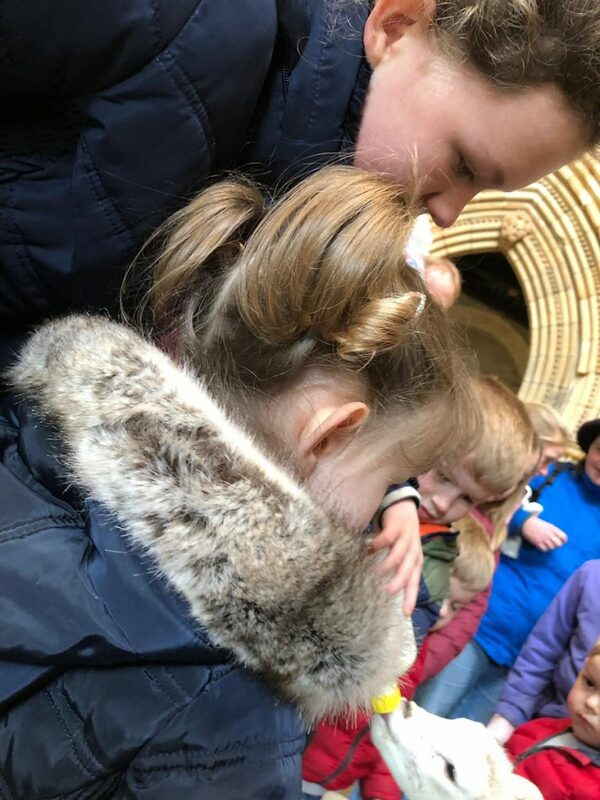 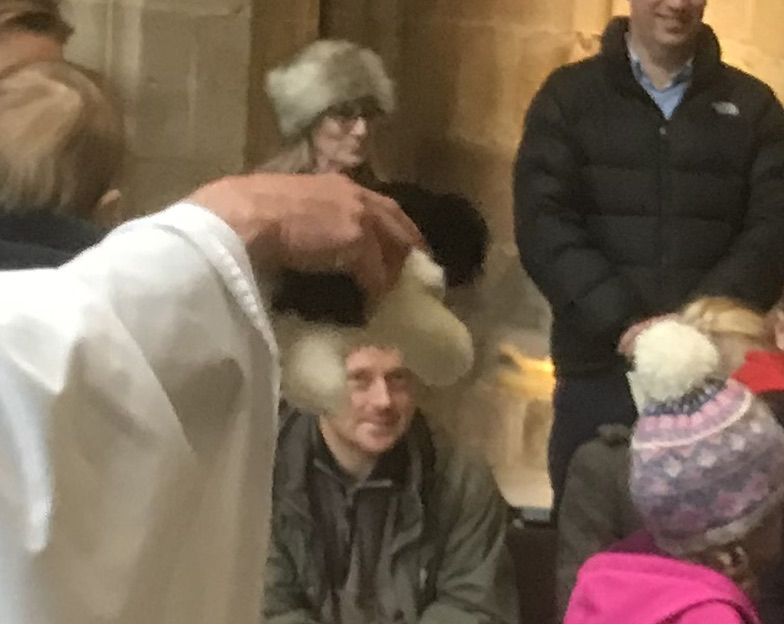 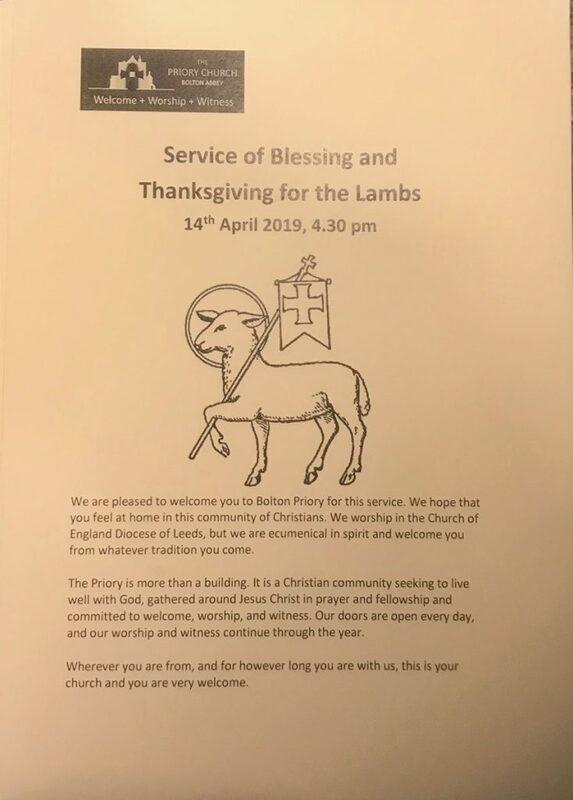 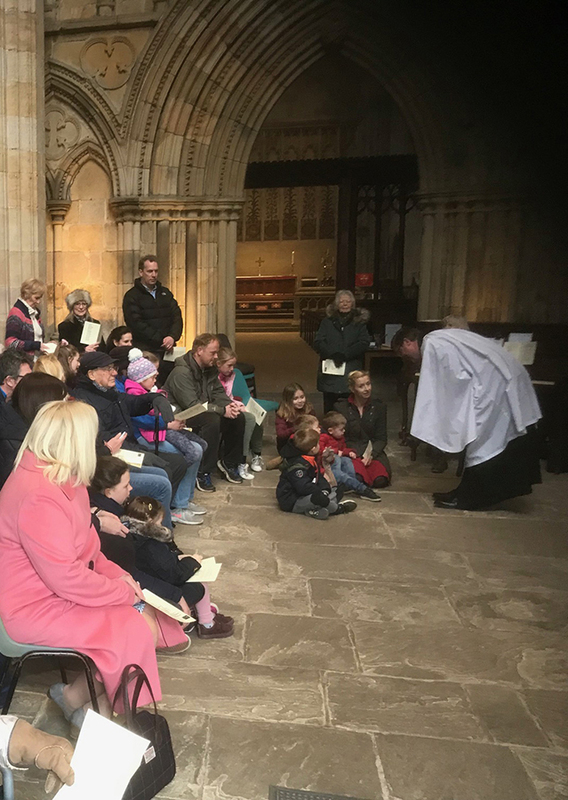 Our new Rector, Revd Nicholas Mercer, conducted his first Blessing of the Lambs service on Sunday 14 April 2019, in which we celebrated the role of our local farming community in nurturing God’s creation, and in particular the many flocks of sheep and lambs. 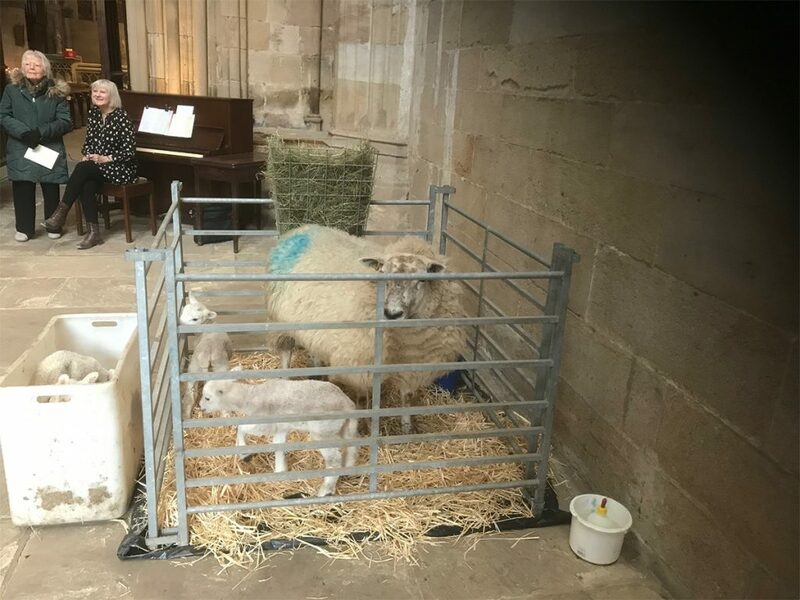 Nicholas himself is very familiar with sheep farming communities. 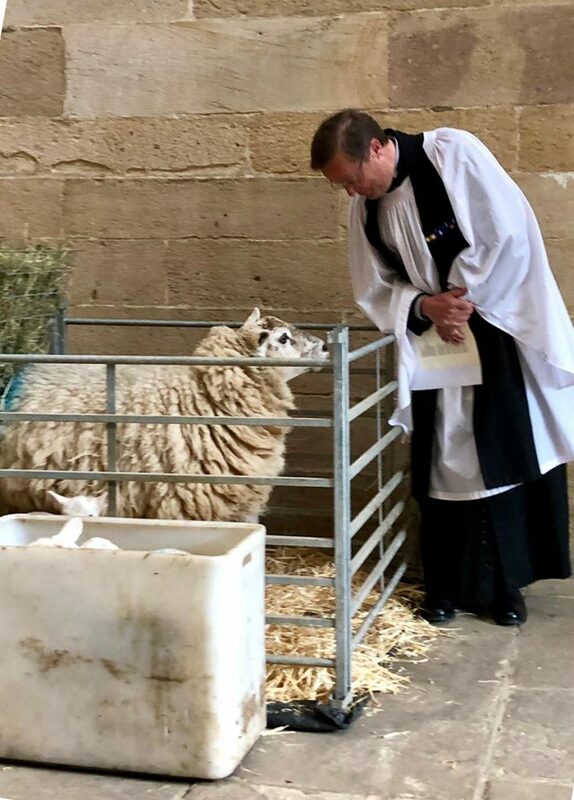 His previous parish, the Falkland Islands, has 3,000 humans and 500,000 sheep! 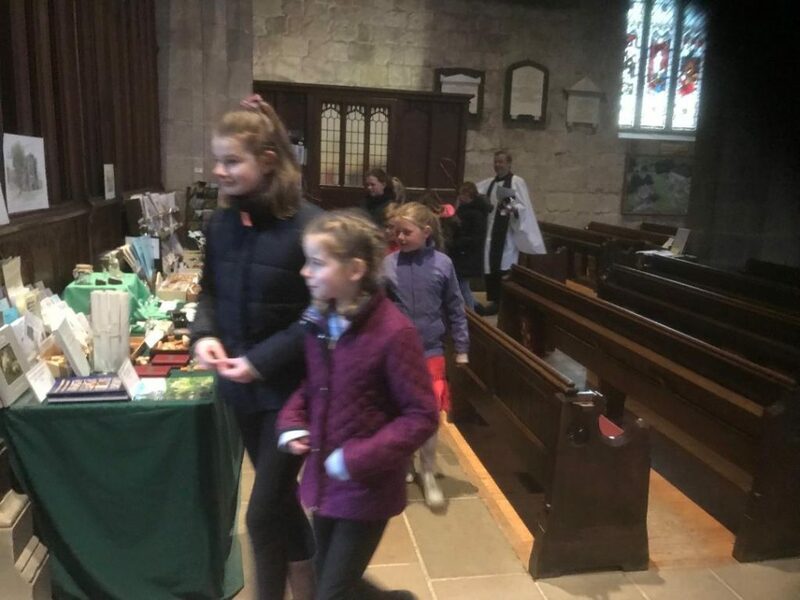 The Priory tower prepared for its guests. 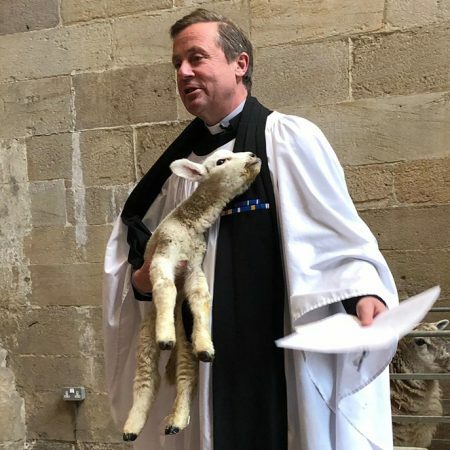 Clearly an experienced lamb handler…. 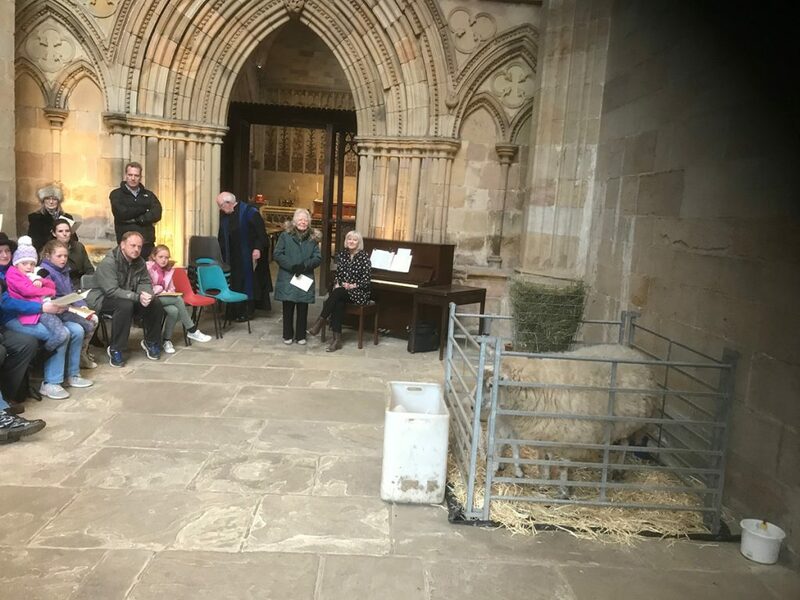 …leads his flock around the Priory.